We've already seen what happens when you feed American food to a bunch of Europeans. SPOILER ALERT: they hate almost everything. 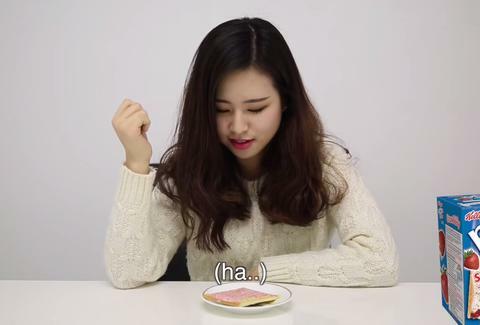 Well, now someone has made a video of Korean women tasting, commenting on, and scoring America's finest snacks. And the results are pretty damn funny. Chloe Pantazi is an editorial assistant on Thrillist's travel team. Yes, that's a British accent. No, she doesn't watch Doctor Who. Follow her on Twitter at @ChloePantazi.